Toast- Asbury Park, Asbury Park : 10% OFF Your Bill at Toast Asbury Park! Toast- Asbury Park - 10% OFF Your Bill at Toast Asbury Park! 10% OFF Your Bill at Toast Asbury Park! Receive 10% OFF your next visit to Toast in Asbury Park when you claim this offer on Locals InMotion for iPhone! At Toast, we have a pretty simple mantra: Peace, Love, Pancakes. And to us it's not just a cute catchphrase that looks good on a T-shirt. It's a philosophy that says that when we combine great food with a great staff and a great attitude, we can become more than just another restaurant - we can become part of a community. This offer must be redeemed with your server at the time of purchase on your Locals InMotion Offers iPhone app. To download our app,please visit us in the iTunes store. Download Locals InMotion for iPhone and redeem your offer on your next visit! Offer must be redeemed on your Locals InMotion iPhone app and validated by your server in order for the discount to be applied. All redeemed offers and check-Ins will earn points on your user profile. This offer cannot be combined with any other offers. Toast Asbury Park Daily Specials! Toast, your "go-to" to go! 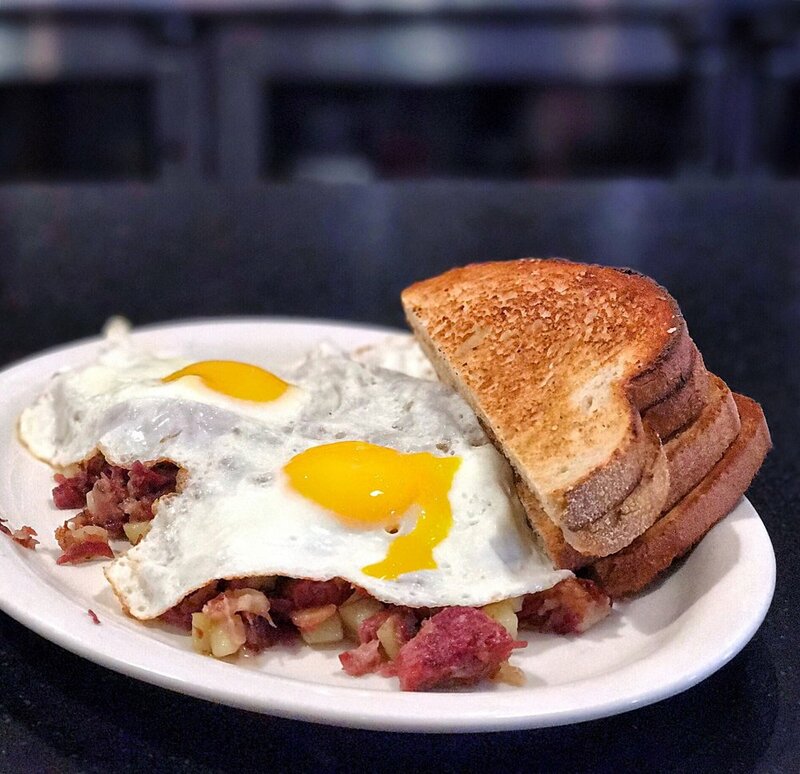 Amy Russo Harrigan first opened Toast in Montclair, NJ in May of 2007 with the idea of creating a welcoming, relaxed environment where day-diners could experience honest, authentic food and attentive, professional service. That same goal carried over to her second restaurant, in downtown Asbury Park, which opened it’s doors in July, 2011. At Toast we have a pretty simple mantra: Peace, Love, Pancakes. And to us it’s not just a cute catchphrase that looks good on a T-shirt. It’s a philosophy that says that when we combine great food with a great staff and a great attitude, we can become more than just another restaurant – we can become part of a community. That’s what Toast has done in our other locations, and is doing it again in Red Bank, open since 2016.